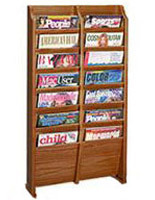 This Magazine Rack Mounts To A Wall To Save FloorSpace! 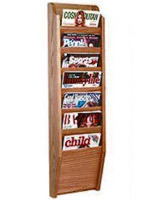 Find More Magazine Racks Right Here At MagazineRackShop! 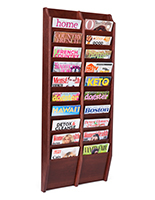 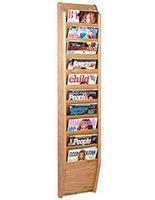 This wall literature display magazine rack is great as an office product or lobby display. 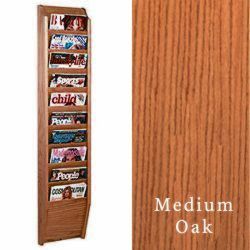 Medium oak finish. 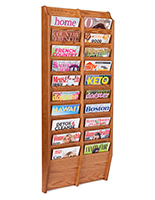 This oak magazine rack mounts easily on the wall. 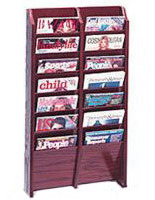 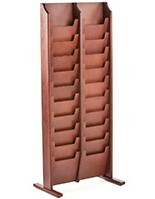 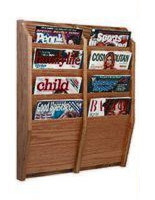 Has 10 (9"w x 3/4"d) wood magazine rack pockets with wood laminate front panels.